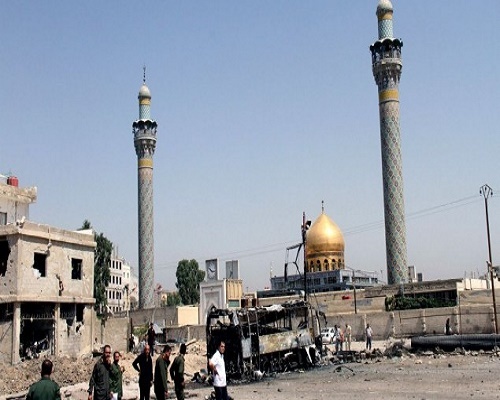 According to preliminary reports in Syrian state media, the first explosion was caused by a car bomb followed by a second blast believed to be that of a suicide bomber detonating his vest in the vicinity of the Shiite shrine Sayeda Zeinab near a city district by the same name. The shrine is revered by Shiites around the world. The Syrian Observatory for Human Rights, a British-based monitoring group, reported a higher toll of at least nine people killed and 30 wounded in the blasts. The shrine is heavily guarded by pro-government forces but has still been the target of several jihadist attacks, including those claimed by the Islamic State group. The last attack on Sayeda Zeinab on April 25 killed at least seven and wounded dozens. Lebanese Shiite militant group Hezbollah cited the threat to Sayeda Zeinab as a principal reason for its intervention in the civil war on the side of President Bashar Assad.